As Head of Clinical Orthopaedics at the AHT, Sue has dedicated 35 years to treating hundreds of patients each year in the clinic, as well as advancing the knowledge and techniques in equine medicine through her pioneering research. Sue’s aim is always to improve a horse’s quality of life, whether that be returning to their previous level of competition, or being able to live pain-free. With a strong background as a rider and a particular interest in lameness and poor performance in sports horses, she has an in-depth knowledge and understanding of performance problems in horses of all disciplines. This gives Sue a distinct advantage when patients are referred to her, as she can fully understand the needs of the horse and rider, and all of the complexities involved within that partnership. Sue continues to change the face of equine medicine 35 years on, most recently increasing our understanding of pain in our equine athletes. Sue is currently creating a method by which owners, trainers and equine professionals can recognise pain in their horses when they are ridden by assessment of facial expression and behaviour. This study evolved from Sue’s extensive clinical work, recognising that too often poor performance has been labelled as ‘naughty’ behaviour or training problems, rather than pain. As a result, cases are referred to her too late when injuries have become chronic, so problems are well developed and the opportunity for recovery is compromised. The third of four stages in this project has been completed; developing a visual aid for identifying pain and/or lameness by assessing the horse as a whole, building on the success of facial expressions being a proven indicator. In addition to facial expressions, behavioural markers of pain included head tossing, unwillingness to go forwards, hurrying, toe dragging, crookedness, changing gaits spontaneously, and stumbling. Lame horses had substantially higher behavioural scores than non-lame horses. Twenty-four key behavioural markers were identified and the presence of eight or more was likely to signify musculoskeletal pain. It was considered important to assess horses both in trot and canter, because some horses show more signs reflecting discomfort in one gait compared with the other. It was equally important to assess horses performing movements requiring more collection, when applicable, because it may only be when more physical demands are placed upon the horse that signs reflecting pain become apparent. Being able to detect pain as early as possible using this visual guide and scoring system enables quick reactions, so that whatever is causing the horse pain (tack or injury) can be rectified, which greatly increases the horse’s chances of a successful outcome. Sue continues to investigate equine health and welfare, inspired by the resilience of equine athletes; she still works tirelessly to improve their care for years to come, sharing her knowledge with the equine industry and owners to put into practice. “I owe a huge debt of gratitude, not only to the friends and colleagues I’ve had the privilege to work with, most particularly at the AHT, but also to the horses, which provide endless challenges” says Sue. “Our clinical cases are integral to our research. Without them and the willingness of their owners to contribute their data to our research projects, we would not be able to advance veterinary techniques as comprehensively as we do now. 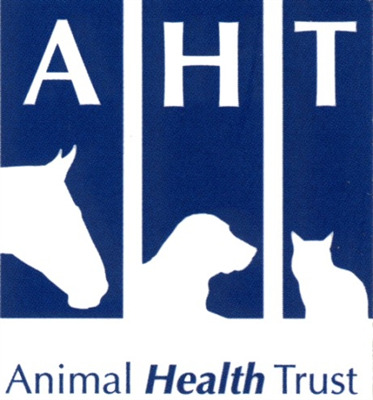 At the AHT we have developed a cycle, whereby our clinical patients feed into our research, and in turn our research results are fed back into the industry to develop veterinary and owner knowledge to support the care of horses worldwide. This study is kindly funded and supported by World Horse Welfare and the Saddle Research Trust.